"Frida" chronicles the life Frida Kahlo shared unflinchingly and openly with Diego Rivera, as the young couple took the art world by storm. From her complex and enduring relationship with her mentor and husband to her illicit and controversial affair with Leon Trotsky, to her provocative and romantic entanglements with women, Frida Kahlo lived a bold and uncompromising life as a political, artistic, and sexual revolutionary. 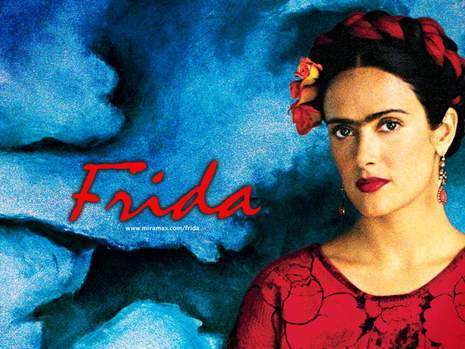 Frida is a 2002 biographical film which depicts the professional and private life of the surrealist Mexican painter Frida Kahlo. 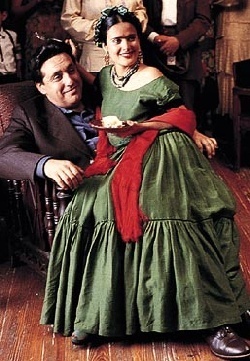 It stars Salma Hayek in her Academy Award nominated portrayal as Kahlo and Alfred Molina as her husband, Diego Rivera. The life of artist Frida Kahlo--from her complex and enduring relationship with her mentor and husband, Diego Rivera, to her illicit and controversial affair with Leon Trotsky, to her provocative romantic entanglements with women, Frida lived a bold and uncompromising life as a political, artistic, and sexual revolutionary. The life of an uncompromising, iconoclastic artist has never seemed as rote and inevitable as it does in Julie Taymor's Frida, an intermittently engaging but wholly ordinary biography that wouldn't be out of place premiering on a basic-cable channel. 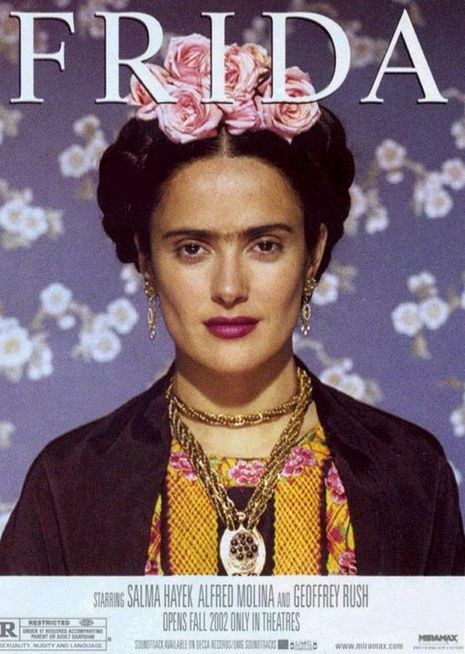 Ticking off the events in Kahlo's life like a grade-school filmstrip, Frida's screenplay -- credited to no less than four writers, not including the purported rewrites from Ed Norton -- is full of clumsy passage-of-time indicators and halting, expository dialogue. Luckily, the performers manage to bring it alive somewhat: Though notably lacking in the kind of mythic swagger Kahlo requires, Salma Hayek digs into her long-gestating "role of a lifetime" with vigor. Better yet is Alfred Molina's Diego Rivera, who threatens to swallow the movie whole (both figuratively and literally).